Today I SO enjoyed chatting with Rebecca Egbert. Rebecca was a practicing midwife for nearly 10 years and is now the Founder and CEO of The Mother Love, a company building inclusive technology and connected communities to improve women’s health. Often told she has the energy of 7 people, hard work is part of her cellular body. After starting many businesses, she committed deeply to her entrepreneurial and innovative spirit deciding to take a giant leap away from clinical care, into the health education and tech world. 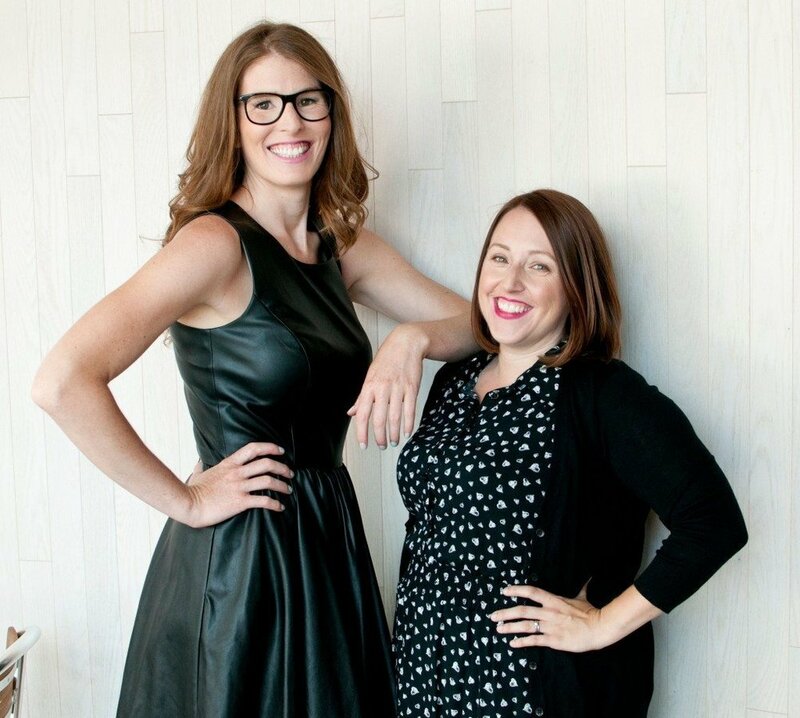 With a hint of intuition and playful communication, Rebecca and her team create fun, accessible and actionable self-care tools that are designed to be used, most importantly, and shared to grow healthy women, strong families, and create connected communities. She loves her people and places deeply, and does a lot of things that might make you think she’s nuts in her little spare time. I so appreciated her real and honest approach and I know you will love this episode! The break and space needed after the baby is born - limit your visitors! What's next for The Mother Love...venture capitalists and more! And SO many other wonderful things! Be sure to check out Little Mother's Helper here! Today I so enjoyed chatting with Bianca Sprague and Natasha Marchand of bebo mia inc. Bianca is a birth doula and lactation educator and has supported hundreds of families through their pregnancy, birth and postpartum periods. She feels particularly passionate around maintaining the family's relationships and mental wellness. As a queer woman she advocates for inclusive language in the birthing space. She lives in Toronto with her spouse, Alana, and their daughter, Gray. Natasha is a pre & postnatal fitness professional and birth doula. After a long fertility journey with her first daughter, Natasha has positioned herself as a fertility expert. She specializes in working with families with a history of try to conceive through their pregnancy and postpartum period. Natasha lives in Toronto with her husband, Chris, their 6 year old daughter, Sadie, and just gave birth to her second daughter in September. bebo mia inc is a training & mentorship organization for women in the maternal health field, including pregnancy/birth professionals, childbirth educators & parenting specialists. They offer comprehensive skills, business support & community care through an innovative online structure that spans a global market. The challenge of working in this field and people "expecting us to be really good at this"
Don't do it on your own!! Today I enjoyed chatting with Carole Kramer Arsenault, RN, IBCLC. Carole has devoted her career to infant and pregnancy care, and worked for many years as a delivery nurse, including at Boston’s Brigham and Women’s Hospital. She founded and runs Boston Baby Nurse, a home health agency offering specialized support to families with babies. She lives outside Boston. · Why she decided to write Newborn 101 and what readers can expect to get out of it – it’s like a pocket Postpartum nurse for you to take home! · Lowering our expectations of our postpartum bodies. Today I so enjoyed chatting with Betsy Schwartz. She is a pioneer and a visionary. She began her career in 1991, working for one of the oldest postpartum doula services in the country. In 1994 she established Tenth Month Doula Services, the first of its kind in South Florida. Betsy is a founding member of the Coalition for Improving Maternity Services, where she served on the Board for two years. Her most recent accomplishment is the creation and publication of Down the Canal – The Game of Birth. She also offers online courses for birth workers. Betsy continues to pioneer in Citrus County Florida where she is actively involved in community collaboration as part of the Citrus Committee of the Florida Healthy Babies Initiative. Betsy holds a master’s degree in management of human services. She was a DONA postpartum doula trainer for fourteen years, and before that a CAPPA trainer. 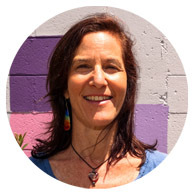 Betsy is a certified postpartum doula, a Reiki Master and a yoga enthusiast, and is active in transformational work through Gratitude Training. How she came to create "Down the Canal: The Game of Birth"
The disservice we do moms by telling them they should be "doing it all"
Be sure to check out Betsy's work and the "Down the Canal Game of Birth" here. You can find the episode wherever you find your podcasts or you can stream it here. I so enjoyed chatting with Arianna Taboada. Arianna is a maternal health consultant who works with experienced entrepreneurs who are becoming first time mothers, helping them customize their maternity leave plan and return to work. She is deeply committed to providing on-going, multi-faceted support that meets the professional, physical, mental, social, and emotional needs of entrepreneurs as they babyproof their business and navigate new motherhood. Tools to use for planning out your postpartum period and filling in gaps that may be missing in your support system and care. Today I so enjoyed chatting with Dr. Erica Zelfand. She is a family physician specializing in integrative and functional medicine. After graduating from medical school, completing a midwifery apprenticeship, and finishing a family practice residency, she then completed four additional years of post-doctoral training in pediatrics under the tutelage of Paul Thomas, MD, the author of the acclaimed book The Vaccine-Friendly Plan. She sees patients of all ages in her family practice in Portland, Oregon, and is deeply committed to a patient-centered, root-cause-oriented, nature-honoring approach to healing. Learn more about Erica's work and practice here. This episode is sponsored by audible.com. Audible makes it easy to listen to all of your favorite books. They are offering listeners of this podcast a FREE audiobook and 30 day trial. Go to audibletrial.com/PostpartumPodcast to get your free book now. Today I had so much fun chatting with Lori Jill Isenstadt of the All About Breastfeeding Podcast. Lori is an internationally board certified lactation consultant and has spent much of her adult life working in the maternal health field. Once she became turned on to birth and became a childbirth educator, there was no stopping her love of working with families during their childbearing years. Lori became a Birth doula and a Postpartum doula and soon became a lactation consultant. Lori founded her private practice, All About Breastfeeding where she meets with moms one on one to help solve their breastfeeding challenges. Her membership site, All About Mothering, which just launched on April 1st, 2017, helps moms navigate their journey from pregnancy through their postpartum days. She is an international speaker, book author and podcast host. Not to mention, she is mom to 3 grown children. The intense details that we remember about our birth stories, even decades later! ICON is also giving away THREE pairs of Icon Undies to one lucky winner this month for Mother's Day! Enter to win at the Rafflecopter Giveaway below! The realities of doula work - it's not as glamorous as we think! Today I so enjoyed chatting with local midwife, Chelsea Fredlund. Chelsea is a Licensed Midwife and Certified Professional Midwife at Placerville Midwifery. Her practice offers full-scale midwifery care for women who choose to birth at home, including prenatal visits, home birth, and postpartum visits. She also offers Birthing from Within childbirth education classes for clients and other families planning a natural childbirth in or out of the hospital. She is mom to one 4 ½ year old girl named Mariah and currently lives in Placerville, CA with her daughter and husband. Be ready to shift expectations! How we need to flip the script on the idea of women having "low libido"
How trauma is "too big of an experience for your nervous system to digest"
How to find practitioners that specialize in this sort of postpartum recovery help. Check out Bellies Inc, Wild Feminine. Today I had so much fun chatting with one of our local birth workers, Kaelyn. Kaelyn owns Serene Relaxation and is a birth doula, postpartum doula, lactation educator, massage therapist and more! The benefits of having a birth plan in place - shooting for the stars! Today I had so much fun chatting with my friend Amy Moy and her wife Dawn. Amy and Dawn have known each other for 14 years, been together for 10, were first married in 2010, not recognized then by the state, and then again legally in 2013. They welcomed their daughter in 2012. Amy, is a birth doula, childbirth educator and placenta specialist here in the Sacramento area. Check out River Bend Birth Services! After the birth of their daughter with a doula by their side, she realized her passion and dove into birth work, believing that every family deserves to experience the kind of compassionate and continuous care that a doula provides. This year, Amy also created Q-Village Birth Associates, a skilled and dedicated group of LGBTQ-identified birth professionals serving families here in Sacramento. Dawn, grew up in San Diego, graduated with a criminal justice degree from Cal State Hayward, and has worked in the field of loss prevention since 2008. She has played semi-professional women's baseball over the years and her biggest claim to fame was playing in the first 24-hour baseball game in history - it was an AIDS fundraiser. Doulas, Placenta Capsules and more! This episode of the Postpartum Podcast is sponsored by Earth Mama Angel Baby. Earth Mama Angel Baby has been safely nurturing pregnant women and babies for over a decade with trusted, certified organic and natural herbal products formulated to support the entire journey of childbirth, from pregnancy through postpartum recovery, breastfeeding, and baby care, and even baby loss. Listeners can get 20% off your order with the code"Postpartum20" at checkout. Parenting 3 children with a large age gap - 13 is similar to 2! Don't forget to check out Doulaville if you are in Seattle, Philadelphia or San Francisco and Angie's regular website if you are in Sacramento. Learn more about Music Therapy for Childbirth and Kate here. The article I mentioned about Empathy Burn Out. Today is a special episode where I talk with Jillian Van Ness who is a certified Infant Massage Practitioner and Watsu® Massage Practitioner. I am so excited to share these two lesser known modalities with you all today! · What is Watsu Massage? To learn more about Jillian please visit her website. To find an infant massage practitioner in your area go here. To find a Watsu® Massage practitioner in your area go here. Today I had a blast chatting with Brian Salmon, also known as Brian the Birth Guy. Brian is a childbirth educator, lactation counselor and San Antonio’s only practicing male birth doula. I so enjoyed hearing his perspective as a dad, doula and birth enthusiast! You can find more information about Brian on his website, you can follow him on Facebook and on Periscope. · The importance of not projecting our own expectations on new mom friends, supporting the fact that being a new mom is hard. To find out more about Nathalie and find her podcast, visit her website here. She also mentioned the Birth Without Fear Blog. Today I chat with Tamara Morales of Placentamom.com. Tamara is a mom of 2 "middles" and a placenta encapsulator in the Sacramento area. She started her placenta business 7 years ago and is also the one who encapsulated my placenta with my daughter's birth. I so enjoyed chatting with her about her postpartum experiences and about the benefits of placenta encapsulation. Importance of embracing all of the moments, even the bad ones and sharing with other moms that it IS hard in these early days. Tamara also generously offered to help anyone looking for a placenta encapsulator in other parts of the country to contact her and she will help find you one! You can learn more about her services here.